You don't have to struggle with panic attacks or severe anxiety anymore. Hypnosis has helped many panic attack victims find relief from the first session. How much longer will you let your life be interrupted? Devastated? Stopped short? Hypnosis has helped so many find relief from panic, anxiety, phobia and PTSD. Hypnosis In Place of Medication? Hypnosis for panic attacks and anxiety is an effective non-drug alternative for helping with panic, anxiety, and anxiety induced joint pain. If you have ever had a panic attack or even milder anxiety, you know how awful it can be. You are not alone. In any given year, about one-third of American adults have at least one panic attack. Hypnotherapy has helped many stop incapacitating panic attacks and anxiety. People having panic attacks often feel as if they are the only ones who have ever felt this way. Hypnosis has been clinically demonstrated to give sufferers relief from the first minute. Take your life back. A panic attack is the Fight-or-Flight-Response with the on switch stuck on open. The ability to become very scared quickly is what kept humans alive in primitive times. When we are frightened our brain switches over to an ancient part of the brain, bypassing the logical function and connecting directly with our ability to move. It’s called Emotional Hijacking and physiologically, that’s exactly what happens. Panic attacks are sudden surges of overwhelming fear that that comes without warning and without any obvious reason. It is far more intense than having anxiety or the feeling of being ‘stressed out’ that most people experience. One out of every seventy-five people worldwide will experience a panic attack at one time in their lives. Though you know your feelings are irrational, your still heart pounds, your hands shake, and you feel short of breath. You are terrified but you don’t know why nor what to do about it. Why Does a Panic Attack Feel This Way? Anxiety is a normal reaction to stress. Its purpose is to alert us to a possible threat in our lives. These signals cause physiological changes in the body. When people suffer from chronic stress the body and brain stay in a permanently high state of arousal. The body and the brain become exhausted and become unable to return to a resting state. You become hyper-vigilant, like a soldier guarding the fort without sleep. If this chronic stress and anxiety lasts for too long, you have set the stage for panic attacks and phobia. How do Panic Attacks or Anxiety start? People have stress reactions every day. You might worry about your daughter getting home from school on time… or a report getting to the boss on schedule… or any of thousands of scary little imaginings throughout the day. Most of them are completely below your awareness, and normally would be no big deal, but stress is cumulative. You become like a bathtub with the drain plugged. Even a little drip will eventually cause the tub to overflow. There is a strong link between inflammation and anxiety. We know inflammation is how the body responds to injury, and the injury doesn’t have to be physical. Mental and emotional stress can cause inflammation in the body too. Stress produces inflammatory cytokines that affects how the gut, brain, and nervous system communicate. Unless these systems are balanced, anxiety can become painful and problematic. Once you’ve suffered that first attack, that fear response reinforces itself. Soon, every fearful thought releases a little trickle of adrenaline into the body. Adrenaline is the body’s natural “speed”. As this becomes chronic, anxiety becomes unrelenting, crippling panic. It would be like drinking five pots of coffee day after day. 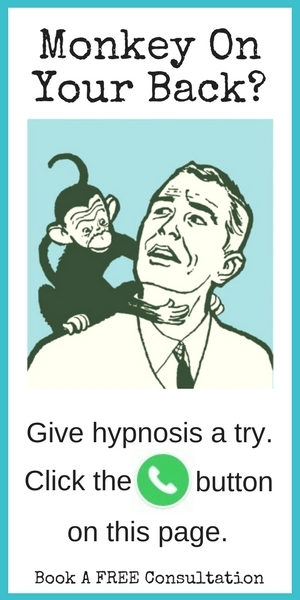 In hypnosis, the suggestion turns down body’s hyper-reactivity. Hypnosis desensitizes you to these triggers so that you begin to maintain a state of calm relaxation. Self-hypnosis reinforces this new response so that calm becomes your new norm. In fact, hypnotherapy may be helpful with all stress-related problems because going into the hypnotic state causes the body to release natural endorphins, which also help counter inflammatory cytokines. This endorphin release creates a calming effect throughout. Stress reactions are physiological as well as psychological. The trigger is psychological but the response is physiological. Once patients understand this connection, the rest is easy. With chronic stress our brains get stuck in that emotionally and physiologically hijacked state. We can no longer return to a state of calmness. The stage is set. Your threshold has been lowered so that anything can set it off. It’s kind of like a motion detection burglar alarm. If it’s set too low, a breeze can trip it. And that is what a panic attack is. It is an overly sensitized response with a very, very low threshold. Luckily the brain could be retrained to raise the threshold and become less sensitized to every upset. We could learn to trigger a calm attack just as we trained ourselves to trigger a panic attack. Hypnosis removes your foot from the 'gas pedal' that is driving your panic attack or fear! Don't you owe it to yourself to give hypnotherapy a try? 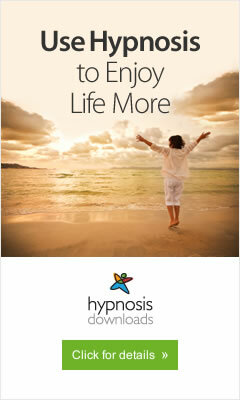 Talk to those who have found relief using hypnosis. How many hypnosis sessions are needed? Most issues require four to eight sessions for complete success. Of course, this varies depending on the particular issue, on secondary contributing factors, such as sleep distress and stress levels. What you CAN expect is noticeable positive change after the first session. * Ask about discount packages. Susan French has received specialized training in panic attacks, anxiety, and phobias from the Hypnosis Motivation Institute, the American Hypnosis Association, the National Guild of Hypnotists, and training in the Rewind Technique for Panic Attacks, Anxiety, and Phobia from Uncommon Knowledge in the United Kingdom. Confidentiality is assured by Law and by Practice.